Destination New Jersey for your Valentines getaway! 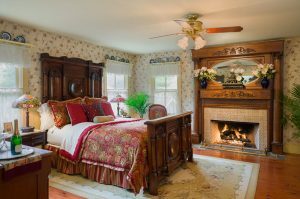 Built in the 1870s, the Widow McCrea House has been restored with today’s modern amenities and features romantic fireplaces, oversized jacuzzis, snug feather beds, complimentary bottles of wine, private baths, three-course candlelit breakfast and in-room massages. For Valentine’s Day, the historic inn is offering 15 percent off for those booking two nights or more midweek near Valentine’s Day. Since specials are ever changing, those interested should call and see what current promotions are available.